Every church has biblical values that we all adhere to as believers. However, in every local church there also seem to be specific aspects of God's attributes that each individual church holds as important as they work to build God's Kingdom. In this series we look at some key values of Christian Life. Pastor Kyle Lacheney brings a powerful word on the reality that, It's Personal. Every church has biblical values that we all adhere to as believers. However, in every local church there also seem to be specific aspects of God's attributes that each individual church holds as important as they work to build God's Kingdom. 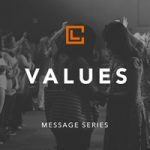 In this series we look at some key values of Christian Life. At Christian Life we are constantly striving to Make it Better. Listen to this message about keys to Making it Better and the difference between excellence and perfectionism. Every church has biblical values that we all adhere to as believers. However, in every local church there also seem to be specific aspects of God's attributes that each individual church holds as important as they work to build God's Kingdom. In this series we look at some key values of Christian Life. Today's message is brought to us by Pastor Frank Damazio from City Bible Church in Portland Oregon. Listen to this great word about the importance of great vision! Every church has biblical values that we all adhere to as believers. However, in every local church there also seem to be specific aspects of God's attributes that each individual church holds as important as they work to build God's Kingdom. In this series we look at some key values of Christian Life. Pastor Paul L'Ecuyer brings an encouraging word about the value, Stay Balanced. Every church has biblical values that we all adhere to as believers. However, in every local church there also seem to be specific aspects of God's attributes that each individual church holds as important as they work to build God's Kingdom. In this series we look at some key values of Christian Life. Today Pastor Dennis talks about the value, We Not Me.